Built in 1910 the La Alma pool is nearly 100 years old. 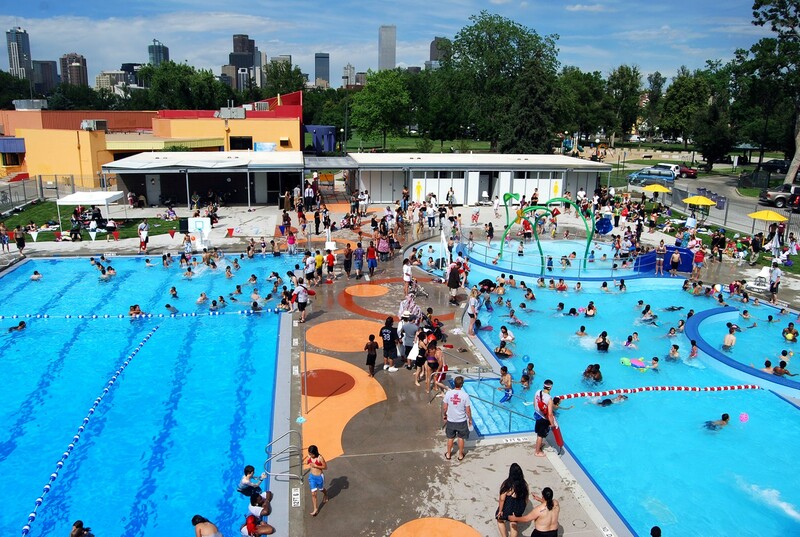 This year the aquatic park and bath house was replaced with a modern facility. The design of the bath house is reflective of the rich local culture and the modern Mexican architectural movement “wall culture.” Complimenting the adjacent recreation center the new bath house is a focal point for the rapidly changing Lincoln Park community. Monopan, a cellular polypropylene panel designed for the trucking industry, was used for the screen walls due to its lightweight properties, translucency, and resistance to graffiti.